Summer days go by quickly, and this post was published last year for those of us who want to have the summer fun without breaking the bank. So many of you liked this list, I thought I'd remind you of free or inexpensive adventures. 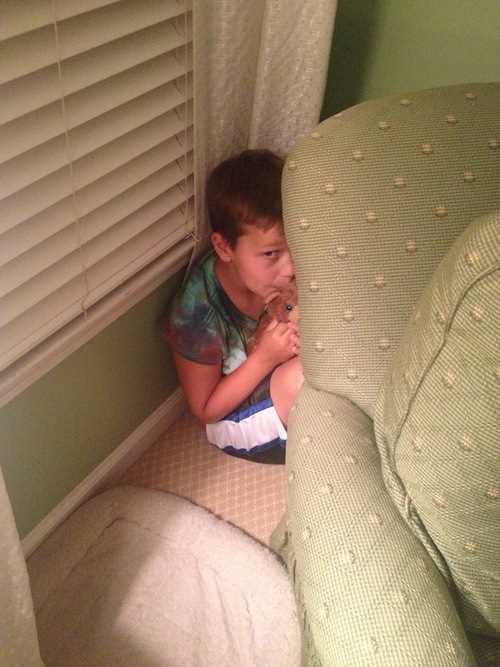 Billy and I have made a commitment to randomly tell our kids it's "hide & seek" night. They respond as if they'd won the lottery! Never are dishes put away and rooms picked up more quickly than when a rousing game is about to be had (clean up comes first). Test me and see. I'm betting your kids will respond the same way! Whether it's building a real house of cards, crafting some car ramps, or making a "painting" with crayons, make something together that will last long after the leaves have fallen. When the weather cooperates, spend every minute outside. Do a summer version of The Family Scavenger Hunt, go Geocaching, or find a local place for a ziplining/ropes course adventure (not cheap, but sometimes there are deals on Scoutmob!). You don't have to wait for a rainy day to build a fort. When you put some effort into making a sustainable fort, you'll create a hangout environment everyone will love! 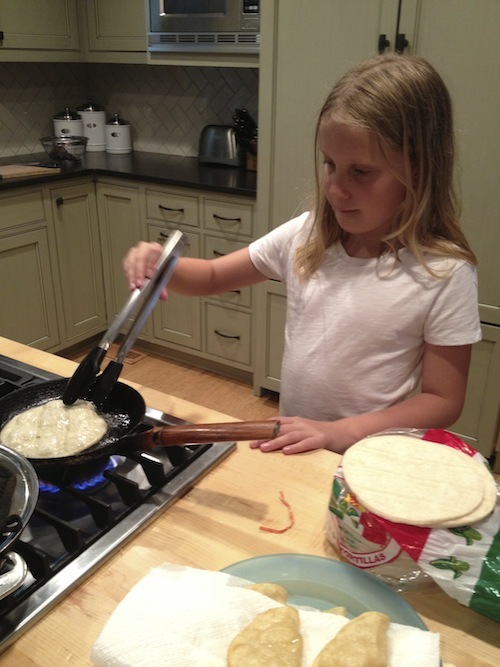 Throw some pizza on the grill, put the kids in charge of dinner, or make Taco Night a family affair. Get everyone in on the action and don't worry about veggies for one night! Have you ever noticed how attitudes fall apart in the afternoons? Maybe it's because people are hangry, or have cabin fever, but an afternoon walk (the kids are usually on their bikes) always seems to improve dispositions. Pick a theme, an artist, or fire up the Wii game and dance together. I am always up for some Michael Jackson, but we'll bop around with anything that has a good beat! We move furniture and crank up the tunes -WOOT! Nothing says "summer" more than eating al fresco! As much as I love to cook, when I picnic, I rarely bother. I just run through the prepared food section of the grocery store and buy what we need. No cooking AND eating outside -- doesn't THAT sound appealing?! This summer our kids are working with Billy on how to edit our videos. I'm tackling finger knitting (Christmas gifts, don't you know!) and a few recipes. Collect a new skill this summer, while there's still time! Speaking of learning something new, perhaps you should tackle learning The Cup Song! My daughter is convinced I can figure this out... eventually. This was our first attempt and we were AHHH -MAZING! Since when did we grow out of doing silly pool tricks? If your kids are debating about whether to go outside, challenge them to a wild game of Marco Polo, under water diving, or a cannonball contest. If this doesn't kick your summer up a few notches, you're not doing it right!